Microfinance programs act as banks to lend poor rural women money to start their own business when they lack alternatives. The ERC program is modeled after the famous Grameen bank. 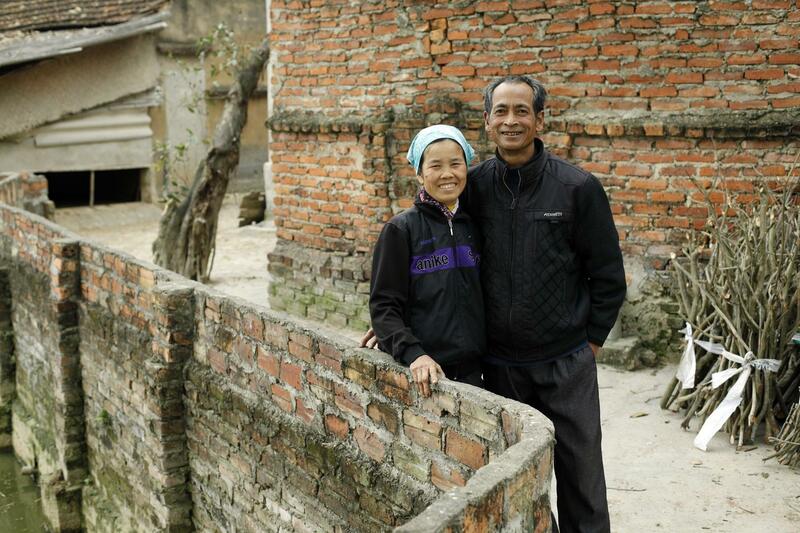 ERC’s Vietnam Microfinance program is now in the sixth year of eight promised. The ERC Foundation works through VN HELP, Milpitas, CA who processes the gift as fiscal receiver The money is then forwarded to the program in Vietnam. As a large U.S. non-profit, VN HELP also does the accounting, reporting and due diligence for the reports back to ERC as a free service in recognition of ERC’s courageous effort. VN HELP is also connected to the Silicone Valley Rotary through the Executive Director’s membership in that chapter. The gifts have enabled some new women in the program to start, then grow their businesses, expand them, then begin to employ other villagers too. The confidence that comes from the businesses helps the families to be more stable, increases the education of children and the women, strongly contributes to literacy and helps the growth of the village economy. The number of women served has grown from 900 to over 1400 during ERC’s participation. Their businesses cover a wide range of services and production including metal fabrication, auto and car road side service, probiotic fertilizer distribution, and of course animal husbandry and organic farming. ERC takes pride in supporting the award winning women in the program who achieve the record of loan and interest payments on time and in full. The ERC gift specifically supports women in one village in the Vinh Phuc Province near Hanoi thereby providing clear metrics on the impact of the gift. For the “feet on the ground” Pam Foard and I are directly involved working with the program’s director and the manager along with the embedded staff members in the field. We have visited and done inspection of the women’s businesses for all six years and are always amazed at the impact the loans have on the woman, her family, and ultimately her village. The impact of the ERC gift is quantifiable through the detailed loan records of the program’s microfinance bank, a bonus of this type of program. We will be in Vietnam three more months soon giving us another opportunity to review the program’s success and the impact of the ERC’s donations. And of course if you come to Vietnam we can arrange for you to meet women in the program helped through ERC’s generosity.